This post is not meant to freak you out. My goal is to make you feel confident when working with lye (Sodium Hydroxide), so that you can move on to the funner (I know that’s not a word) aspects of soap making. Lye is a caustic or alkali substance (high PH). It can potentially burn your skin, damage your eyes or cause serious injury when ingested. 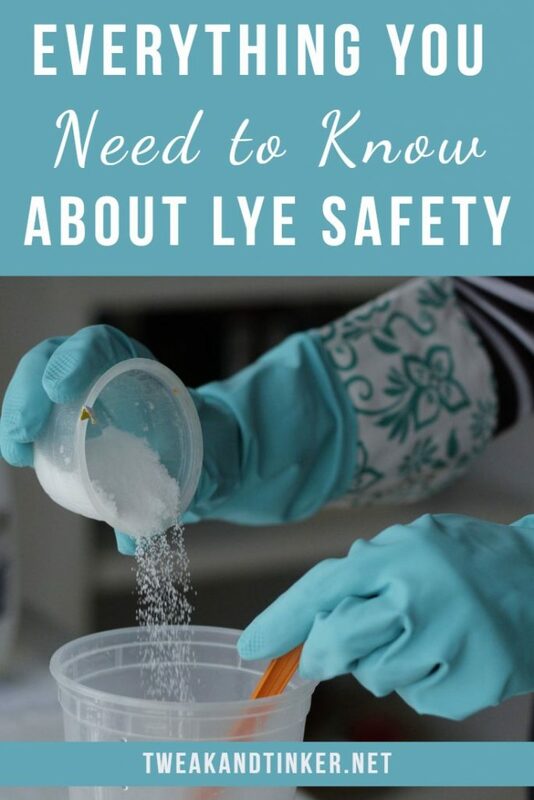 That’s why it is important to talk about lye safety. Think of flying in an airplane: it’s very safe, but you have to make sure you know all the safety measures in order to avoid injury and know what to do in case of an emergency. And I will be serving as your helpful flight attendant, guiding you through the Do’s and Dont’s of working with lye. Carefully measure out your lye in a small container (I like to use a clean yoghurt cup). Choose the right container for your liquid (distilled water): aluminum, tin and zinc will react with lye. Recommended are plastic or stainless steel. Glass may crack due to the heat. Always pour your lye into your water. Never, never, never the other way around! When lye first reacts with a liquid, fumes are released that shouldn’t be inhaled. Hold your breath while stirring, turn your head to the side to inhale. As soon as all the lye has dissolved set your mixture to the side away from where you’re going to work next. Keep in mind that the lye solution will initially become very hot. Never leave your lye solution unattended in a place where kids or pets can get to. If you’re going to leave your lye solution unattended for a long period of time, mark your container with a “Danger: Poison” sign. Keep all your safety gear on for the entirety of your soaping session. Even for the cleanup right after. Fresh soap is less dangerous than lye solution but it’s still caustic. As a matter of fact the only times I’ve ever gotten burned was by getting fresh soap batter on me. You’re so wrapped up in what you’re doing that you don’t even realize until it stings a few minutes later. Keep calm and rinse it off right away under plenty of cool water. Then wash with soap. Don’t use vinegar to rinse. Some sources recommend using vinegar- this will only make it worse! 6. I inhaled some of the fumes! You’ll probably start to cough or have a tickle in your throat. Simply move to fresh air and take a little break. 7. Help! It got into my eye! Rinse immediately under plenty of cool water and seek medical attention. 8. Help! Someone swallowed it! Drink 2 cups of water and immediately seek medical attention. When not in use store your lye container tightly sealed in a place where neither kids nor pets have access to. Label accordingly. I love how you write your posts. They are insightful and entertaining at the same time. 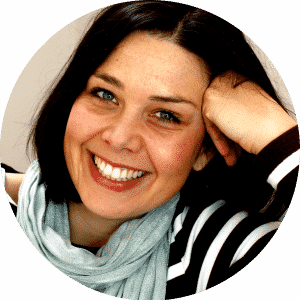 I look forward to many more blog post from you. That’s so nice of you to say. I really appreciate it. I’m glad you enjoy my blog Theresa! Happy Tinkering! But how do you clean up lye.?? 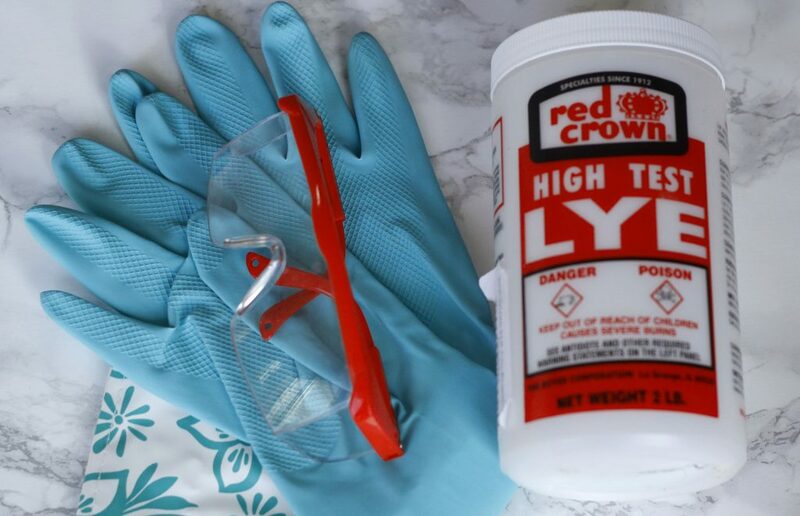 If you happen to spill your lye solution (lye already nixed with water) use cloves and paper towel to soak it up, make sure to discard paper towels right away. Then wipe the area with water, you could also use vinegar on the area to neutralize the lye. Hope that helps. Happy Tinkering!